If the contractor is late for his/her first appointment, did they call and let you know that they were going to be late? In this age of PDA’s, pagers, cell phones and text messaging, there should be no reason why a contractor should keep you waiting for 2 hours wondering if they are planning to keep their scheduled appointment. If a contractor does not call you to let you know they are running behind, then consider if you need to allow them to give you a bid. If they cannot respect you enough to call, they may not have respect for you during the course of your project. This could be a pattern of the frustration you can expect during the project. Measurements, references, a rough draft, detailed notes of your conversation, the time they will return with proposal. Did they pull out a tape measure and actually take good measurements Did they make a rough draft of the areas that will be effected by the project. Are they taking detailed notes of your conversation so they can put together a proper design and proposal based on your ideas. Were you given an estimated time when they would return with the proposal? If they are running behind, did they call and let you know where they were in the process of putting your proposal together? Ask for references – and not just a few *SEE SAMPLE #1. If you have an extensive list to pull from, you should find enough people at home to talk with and get an overall picture of the customer base satisfaction. The BBB will give them a poor rating if the contractor has a chronic record of bad performance. As of March 1, 2004, House Bill 730, The Texas Residential Construction Commission Act took effect (TRCC). This was done to provide statewide building standards and statutory warranties, oversee the registration of homes and home builders, manage the State Sponsored Inspection and dispute resolution process. This is the first step toward statewide mandatory licensing. *Currently, there is no required licensing except for Heating and Air Condition Contractors, Electricians or Plumbers. The TRCC registration is not a license and cannot be passed off as such! Commission (TRCC). Cities are now required to refuse building permits to any contractor who is not registered with the state. For those of you obtaining a mortgage to purchase a new home, having a new home built or remodeled, the lenders are now required to ask for proof of state registration prior to closing. If you choose a contractor who is not registered, your loan can be revoked. Each remodel project of $20,000.00 or more or new home built after March 1, 2004, whether custom built or tract home must be registered with the state. *As of 9-1-07 registration is required for projects of $10,000.00 or more, punishable by a fine of up to $10,000.00 per day against unregistered builders and remodelers. The contractor is required to register your project (if over $10,000.00) within 15 days of the date the agreement for the project is signed or work has begun. Ask for a copy of the registration. Or, if the commission has not processed the registration yet, obtain a copy of the application and call the commission to verify that the registration is in process. Within 30 days of your project being registered, TRCC will mail you information about the commission, explaining your rights under the new limited statutory warranties. This commission was not set up to raise property taxes or to increase taxes in construction. It was set up to protect consumers from contractors who have a habit of defrauding consumers so they can be dealt with properly. New home builders were required to comply with the TRCC law as of Sept. 1, 2003. 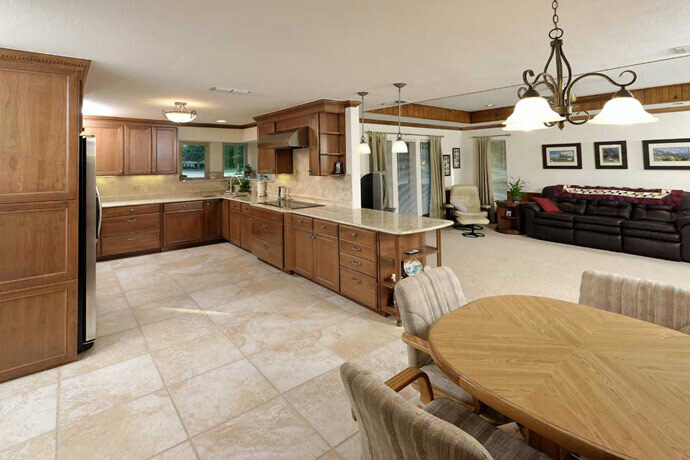 The type of cabinets and sizes of each – type of countertop and backsplash (solid surface, granite, laminate, etc.) and the measurement – type of sink and faucet with allowance – type of flooring with measurement and allowance – number and style of new lighting fixtures with allowance and number of new plugs. What type of foundation will be constructed and how will it be constructed – what type of material will the framing be and how will it be framed – what type of insulation and sheetrock will be used along with texture – electrical and plumbing work spelled out and an allowance for light fixtures or plumbing fixtures, if applicable – is the heating and air conditioning work to be replaced or extended into new addition – the type of windows and doors with measurements – AND – what type roof is included and how does it tie into the existing roofline. Make sure they bring back a drawing of the project showing what the overall layout should look like when the project is completed. It should include all the areas affected by the project. The proposal should include an approximate completion time. This helps insure the project should come to a completion in a timely manner rather than dragging out beyond normal industry standard. A payment schedule should be listed. Ask if the contractor offers financing arrangements. A good financial relationship with several banks should indicate a good working relationship with you, the customer. NOTE: SINCE SEPTEMBER 1997, TEXAS LAW REQUIRES A 12-DAY COOLING OFF PERIOD GIVING YOU THE RIGHT TO CANCEL. ANY CONTRACTOR ASKING YOU TO BACKDATE A SIGNATURE ON A CONTRACT OR CREDIT APPLICATION IS IN DIRECT VIOLATION OF THIS LAW. Ask what the anticipated duration of your project is. Do not let someone tear out your kitchen, bathroom, or walls until the material to put it back is in their warehouse or on your job site. Work schedule laid out and a pre-construction conference before work begins. General manager, project manager or the person who sold you the project should be on the job site daily or at least a phone call to the homeowner to keep you informed of how your project is moving along. This will keep the lines of communications open. If you have a question during the project, do not be afraid to ask it. A reputable contractor will take time to answer the questions and welcomes them as they come up. Do not wait until the project is complete to ask your questions or voice concerns. Any change order or addendum should be signed and dated before this particular work begins. Secure a copy of the change order. *It is best that a change order is paid in full at the time the change order is completed. This helps to eliminate a great amount of confusion at closing. Pre-completion or punch-out list. List all areas necessary to successfully complete the project from both parties’ view. Make sure it is signed and dated. It should become a part of your contract. It is customary in this industry to receive progressive payments. However, make sure that you are not paying the contractor more than it will take to complete the project if the contractor leaves you hanging and you have to hire someone else to complete the project. If the weather is good, a room addition should not take more than 30 – 45 working days for a project of this size. Take into consideration inspections, and material delivery or weather delays. Anything more than that for a standard 16′ x 20′ room addition, the contractor either does not manage his crews properly or he is too busy to be concerned about when your project is complete. Before you give the final payment, be sure to receive a Release of Lien. This document states that all material and labor costs incurred by the contractor for this project have been paid in full. This document should be notarized. If you have any other questions, please call our office (817-485-9855).